Pam spray has its merits, which don’t outweigh the hole in the atmosphere and polar bears and god knows what particles and I know I know. I’ll never learn. That’s why I’ll never be a great baker. I only buttered. Stubborn (and optimistic about the merits of good, real, food when used correctly) as I am, I only buttered. And so I tuck a chopstick in the side, and I ask the cake how it’s feeling about coming out. 1. A Simax Glass Bundt Pan. I have to be honest–I didn’t know how this all would go. But it’s fantastic, it works, it doesn’t stick, and it’s a great alternative to all those non-stick pans with teflon. (I have, in fact, been using only butter with my new glass bundt pan, and every cake has come out perfect and intact.) Even more, I’m told that it’s made with borosilicate glass which can withstand temperatures up to 932°F. I’m not sure what I’d bake at that temperature in a bundt pan, but I’m glad to know I bake a bundt on the surface of Mercury or some other equally hot place. It’s good to have options. Also, this means it doesn’t crack and explode in high heat like tempered glass can. 3. A box of Chemex filters. 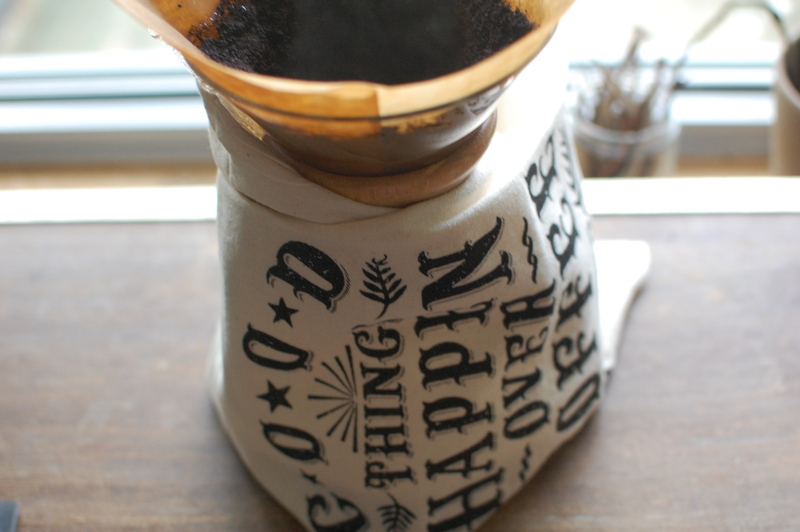 You’ll need these for your new coffee maker. 4. Four Simax glass coffee cups. Big, classy, and really nice to hold in your hands. 5. A witty tea towel. 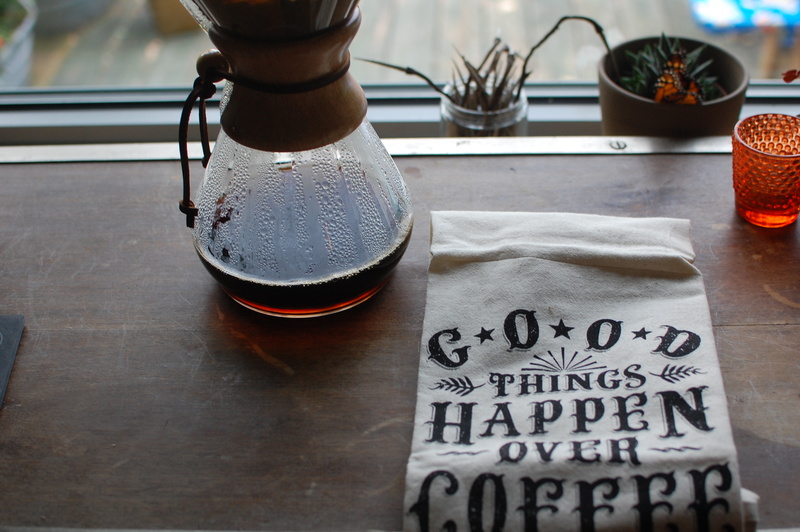 (Or coffee towel, rather.) Organic cotton. Speaking truth! 6. 100 bucks to your school. All you have to do is enroll in the Mighty Nest for Schools program (enter any school you’re connected to), and anything you buy through Mighty Nest results in 15% going back to your school. That’s already a given. But on top of that, the winner of this giveaway gets $100 towards their school. And why Mighty Nest? They’re one of the few companies I work with here on the site, and I have lots of good reasons. They’re a small online company, and they’re all about non-toxic, functional, beautiful products for the kitchen and home. Especially if you’re trying to transition to more reusables and safer products in the kitchen, Mighty Nest is an amazing resource. And their schools program is great, too–it’s available to anyone from any school, and it provides an opportunity to raise big bucks from your school in partnership with a company with a lot of integrity. The schools program is a big part of Mighty Nest’s mission, and when you sign up, 15% of the money you spend there goes right back to the school of your choice. Win win! To enter the giveaway, just go through the widget below. And, if you like (not required, but you know how I love a good conversation), leave a comment about some part of baking that terrifies you. Let’s face our fears in the service of eating more cake. Big thanks to Mighty Nest for supporting the site and sponsoring this giveaway. I’ll choose a winner on November 10. So… baking fears. I’ll start. Bundts! Bundts are terrifying. (But less so in a glass bundt pan, it turns out.) Enter to win through this widget, and then keep scrolling down for my new favorite bundt of choice. This is one of those useful cakes that just plain good, but at the same time satisfies a few other categories. It’s vegan, and save for the glaze, it’s free of any fats or oils, and it seems to be all the better for it. (I myself am a big fan of fats and oils, but sometimes I bake for others who aren’t.) It’s dense and moist and packed full of carrots, so it’s basically a vegetable. Except it’s a cake. A really, really good cake. Note that the cooked carrot mixture has to cool for about an hour, so you want to allow enough time for that to happen. 1. Combine the carrots, brown sugar. raisins, and water in a medium saucepan. Bring to a boil, cover, and lower the heat to medium low. Let the carrot mixture cook, stirring occasionally, for 10 minutes. Remove from heat, uncover the pot, and let the mixture cool for about an hour. 3. Whisk together the flour, cinnamon, cardamom, ginger, salt, baking soda, baking powder, and ground nuts in a large mixing bowl. Fold the cooled carrot mixture into the dry ingredients, then stir in the applesauce until just combined. Transfer the batter to the prepared pan and bake until a toothpick, when inserted in the cake, comes out clean, 55 to 60 minutes. Let the cake cool in the pan on a wire rack 30 to 40 minutes, then gently turn the pan over and breathe the cake out. 4. Combine the coconut oil, maple syrup, powdered sugar, and salt in a small saucepan. Whisking constantly, bring just to a boil. Remove from heat, and pour the glaze over the cake. Store tightly wrapped at room temperature for up to 3 days. Flat cake is always my biggest fear, especially because I tend to mess around with ingredients (maple syrup instead of sugar and so on) so I am generally watching worried through the oven window hoping things will rise properly! Using salt instead of sugar, baking soda instead of powder. I always check the container like six times – baking POWDER. it says powder! The recipe also says powder! Finding suitable replacement for wheat flour, as we are a gluten free house. There’s no one size fits all option, and it’s tricky to figure out which blends to use for which applications to closely mimic wheat. Baking anything gluten free for my daughter. I’m happy to say that I don’t possess any baking fears. I made the world’s most awful cake when I was 12, so even my occasional flops are good by comparison. I love baking, al ways have, since I began baking at age 9. Truly, it’s one of my favorite ways to relax, and I love giving the results to friends. (My three daughters are grown and I now live alone). My two-year-old grandson calls me “Cookie Grandma”. I especially love experimenting, trying new recipes, learning as I go. Most recently, I stumbled upon “5-minute artisan bread” , and I’ve made three batches of the brioche dough recipe, making cinnamon loaves, a chocolate chip loaf (pain au chocolat), and an apple galette with organic Gala apples. So quick, so easy, so good! If anyone has any anxieties about baking, I would recommend that you go ahead and do it! You really do get better with practice–you learn what the dough should feel like when ready to shape, how thick to slice the apples to make sure they become soft in the pie, rather than remaining almost raw, etc., etc. just keep an open mind and try to maintain your sense of humor! Great advice, Margit. A sense of humor- always! No fears left. I have so destroyed baked things there’s only a sort of knowledge that ‘It tastes pretty good!’ may be the most we can say. I cook well all the time, and can and dry and preserve, but balking is hit or miss. There was that whole-wheat sugar-free angel food cake… and the cake that looked like Chernobyl… a guest said so. And the indigo-blue-with-sprinkles cake you could barely taste due to the food coloring. 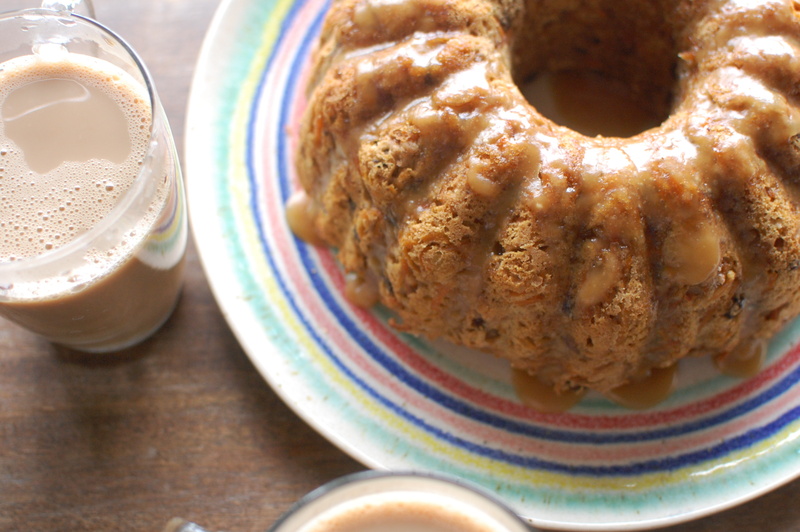 So we just kind of laugh it off, and make coffee cake or better – oatmeal cookies. whole wheat sugar free angel food cake! I want the story of that one. Too firm or too loose? Afraid of in baking? Huh, I’m more often afraid of cooking — the fear that after all the ingredients and time and mess it won’t taste good. But anything with sugar and flour and eggs is usually just fine, even when it isn’t. I guess I would have to say that I fear cake layers. That they won’t be even, that they’ll break in my hands when I try to stack them, that they won’t be good enough for the occasion. And yet — cake! And yet–cake! That’s what I tell myself, and I think it’s true! I’m a bit straight line deficient, and my layers are always wonky. Roux terrifies me. I have so far never succeeded at them- my soups becoming all runny and thin. It’s at the point where I avoid those soups completely now, sadly skipping the broccoli cheese soup I used to love. I’ll try my hand at it again one day but for now, it eludes me. Something that helps me with roux is always to remember that you can create a new base and start again, like with mayonnaise. So if the roux just isn’t thickening, I’ll just start a new pot with new butter and flour, and then add my thin not-roux to that, and it always works. For me, it definitely lessens the fear of something if I know there’s an easy way out. Fancy cakes usually terrify me. I conquered pie crust, custards, and candy, but CAKES seem to either get flat or dry or chewy. I do fine with what I call family cakes, but anytime a fancy cake is required for a birthday, I get nervous and the results are mixed. Plus, if I’m trying to make a layer cake, I’m always worried that my icing will be too soft and the cake layers will drift gently apart in a puddle. I’m always trying to make icing with not enough sugar, so my cake layers often drift. Then I mash it up and call it a trifle! Your posts are always right on target. 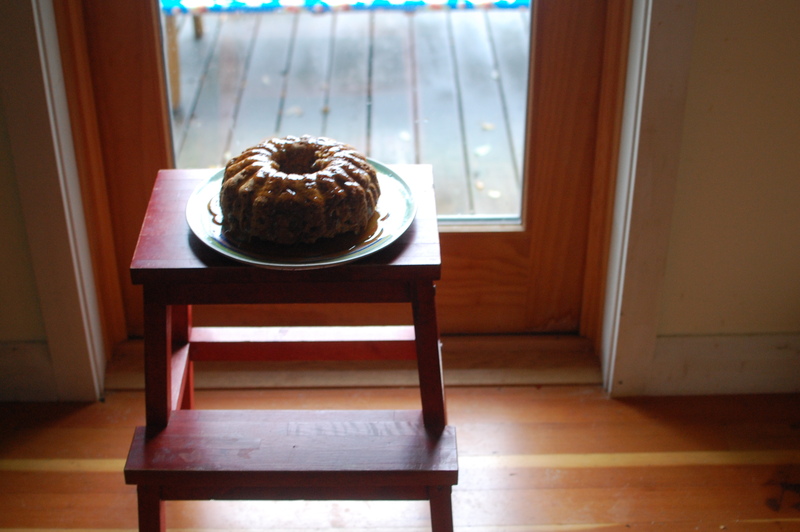 I baked a Jewish Apple Bundt Cake this weekend for a potluck and, I too, only buttered the pan (what was I thinking!?!). The top half was left in the pan. I got it out of the pan, mostly intact, and put it on top of the cake. It looked like a frankenstein cake. I tried to think of ways to salvage it and finally decided on a double recipe of caramel frosting to hide the “scars”. The flavors were great together and the frosting did hide most of the ugly parts. So yes, bundt cakes terrify me too! I just love you to bits. And this. And all of it. It’s strange I was LITERALLY just thinking about one of my biggest baking fears before I tapped the icon for your blog on my iPad!! A most amazing smelling pot roast has been simmering away in the crock pot all afternoon and a thought crossed my mind to make chocolate chip cookies for dessert. Mmmmmmm. But what if the cookies take on the smell, and then flavor of the smell, of the pot roast while they are cooling? And what if I make too many cookies (which I always do) and I want to give the extras to the neighbor and he thinks I am the worst cookie maker in the neighborhood because my cookies taste like meat, carrots and onions?? my baking fear? pie crusts. I love the free form of the galette, however. I’m getting over my fear of estimating. I was taught when I was little that if you didn’t use exact measurements you would destroy the world one extra pinch of baking soda at a time. I’m slowing learning that mistakes are okay and actually help you discover changes to recipes that you’ll like more than the original. But still, the ingrained specifics of it always make me feel naughty for using different amounts. I have two fears: Apple pie and pecan pie. My first Apple pie was horrendous and my first pecan pie refused to set. Needless to say I haven’t tried them again. I need to concur these soon. Maybe this holiday season is the time. My baking fear – angel food cake. Never tried it. Someday I will as my son loves it (his grandma makes it for him). He refers to it as “angel cake”. I’m with you on that one- but my excuse is that I don’t have the right pan! One of these days I’m going to conquer that one, though. I am afraid to admit it but pie crusts and in turn, pies are my greatest baking fears. I often make bundt cakes and the idea of a glass bundt pan fascinates me. 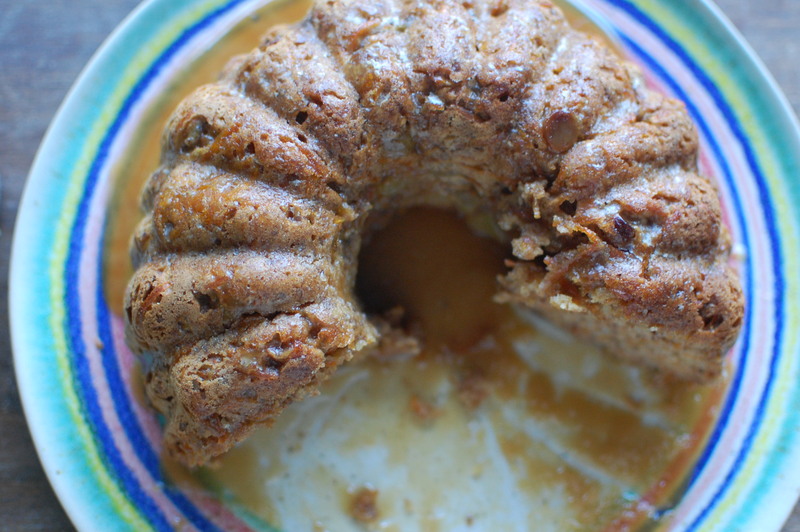 I made your most recent recipe for carrot cake last night and it was a big hit so thank you! I also first heard of Mighty Nest through your website so thank you again! Glad to hear it, Susan! And I know pie crusts are a fear for so many- you’re not alone! The next frontier perhaps? All things involving letting dough rise. I cheat & use my breadmaker’s dough setting so I don’t screw up the mixing, kneading & initial rising. The 1 time I tried it myself, it never rose and I ended up with what I called “a heavy wheat bread” at my dinner party. Either my friends were too kind to say anything or they believed me (we were all early 20s, what did we know about food?). Since then, bread maker all the way! Anything made with yeast! I think part of it is baking at altitude (Colorado) thrown in as well. I live in a warm, Southern California valley, so my biggest baking fear is laminated dough. My husband and daughters love cheese danishes, and I love to make my family happy, so I try to move quickly and neatly and pray the buttery layers don’t melt into each other. Since moving to Colorado from MA I haven’t done much baking.. I’m kinda scared about high altitude baking… not sure I need to even worry about it though! I live here in Colorado, Aurora, actually and when I first got here I had a ton of trouble baking. lived in the mountains at a little over 9000ft. but moving down the mountain is much easier and the most I do is add a bit more liquid to keep things from drying out. My son bakes bread with pretty good success. Oof, baking fears. I guess it’s more perpetual challenge than fear, but I have always struggled with viennoiserie. I would love to be able to turn out stunning croissants, etc., but things never quite work out the way they should. Probably because I’ve messed up on the laminating. I haven’t tried this in quite a few years now, but as a slightly older, I would hope wiser, and more patient person now (this happens we grow up, right? Gosh, I’m hoping so), perhaps I’ll give it another go with more success! I spent the fall watching the Great British Bake-Off, and the contestants inspired me by tackling all of the tricky doughs and pastries. Surely with enough patience and precision, anything is possible? My baking fear? Well, bundt cakes, yes. 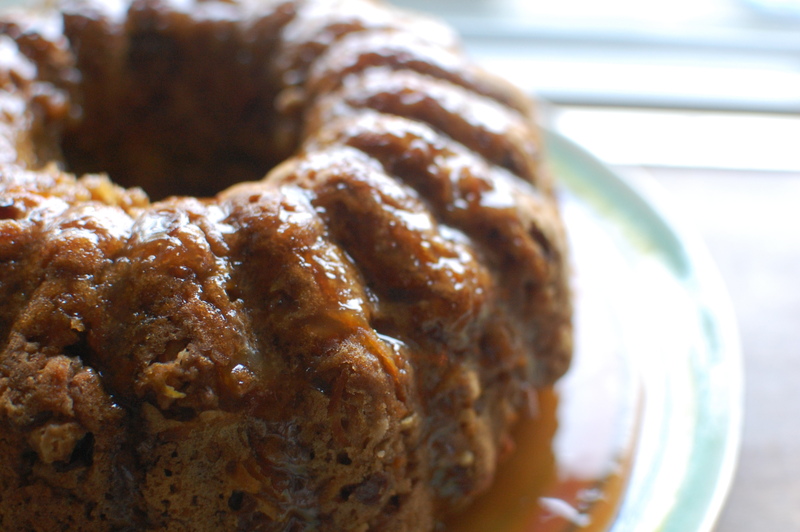 But I made one today – a chocolate sour cream bundt cake – and it came out of the pan no problem! Whew! I doesn’t always happen. Oh man, bundt cakes top the list of baking fears. But really, all baking would be scary for me if I weren’t so comfortable with making mistakes! It’s such a precise art, as opposed to cooking where you can get away with a lot of improvisation and making-it-up-as-you-go-along. I do that with baking to limited degrees of success. I’ve made more flattened cakes, too-dense breads and flopped muffins than I care to share, but… it’s all in good fun and I’m learning as I go. Here’s to facing baking fears together! I’m still recovering from my first macaron experience–flat, crunchy, and definitely not macarons! But one of these days, I’m going to try again…. Love that the recipe calls for no dairy or eggs. Simple, all I need now is a bunt pan. Can I use this for a carrot loaf if no bunt pan is found? That depends a bit on the size of the pan- but it should work in 2 loaf pans. The baking time might increase a bit, too. I made this cake last night, my first time ever trying my hand at a vegan cake – I think that is my fear! I would love to see some photos of the inside of the cake, or know a bit more about what the consistency/texture of the dough should be? Mine seemed to be extremely thick and dough-y, more bread like before being baked. The toothpick also came out clean after about 30 mins, but I left it in for a bit longer anyway – my oven is famous for usually requiring at least another 30 mins of cooking time over the suggested amount. I sliced a tiny sliver to test it once cooled and it seems wet, dense, i think cooked? I’m not sure what is normal for vegan cakes 🙂 – any tips? Hi Madonna! Yes, I do seem to remember that this cake is quite dense- much more carrot-y than your average carrot cake. The water content of the carrots can really affect that too–fresh carrots will have lots more liquid than older dryer ones. But yes! This one ends up a bit more on the pudding side of cake- absolutely.